With the completion of this year’s Breeders’ Cup Challenge “Win and You’re In,” races for 2015, I thought I'd look at the four horses to win more than one Challenge race this year, Beholder, who won three; and two-time winners Big Blue Kitten, Honor Code, and Wild Dude. Already one of the most successful horses in Breeders’ Cup history, Spendthrift Farm’s Beholder could be in the argument with Zenyatta at the top of that category should she pull off a victory in this year’s Classic. 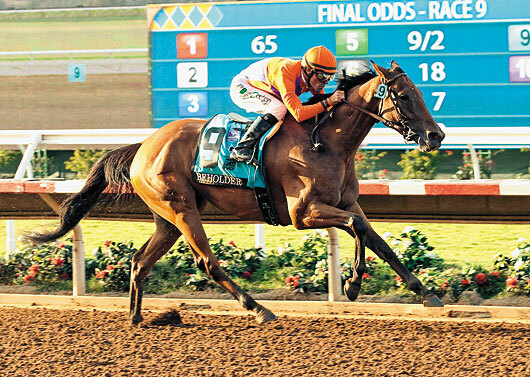 Consider that a Classic win against males would give Beholder victories in the 2012 Juvenile Fillies (gr. 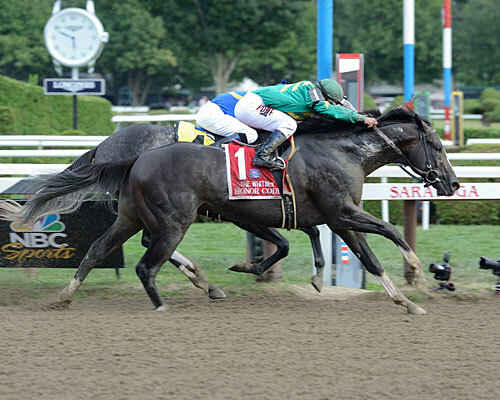 I), the 2013 Distaff, and a win against males in the 2015 Classic. That record would rival Zenyatta’s victories in the 2008 Ladies Classic (Distaff) and 2009 Classic along with her narrow loss in the 2010 Classic. Beholder’s three Challenge race wins this year were all grade I stakes, giving her nine career victories at the very top level with at least one grade I win each year in four consecutive seasons: 2012, 2013, 2014, and 2015. If all goes as planned, the two-time champion who was bred in Kentucky by Clarkland Farm will be one of two surefire future Racing Hall of Famers, along with Triple Crown winner American Pharoah, in this year’s Classic. 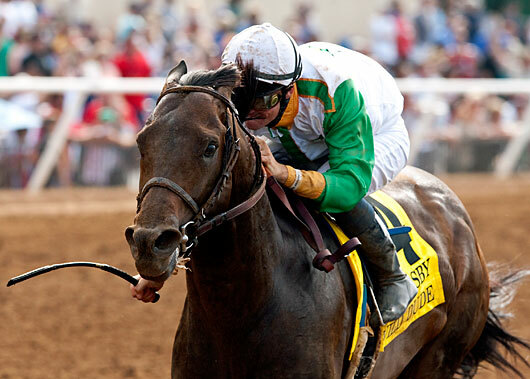 Owned by Lane’s End Racing and breeder Dell Ridge Farm, Kentucky-bred Honor Code made some history of his own in 2015, reaching new heights in his 4-year-old season by winning two of New York’s biggest races, the Whitney and Met Mile. From the final crop of A.P. Indy, Honor Code is just the ninth horse to win the Met Mile and the Whitney in the same season, joining Tizway, 2011; In Excess, 1991; Criminal Type, 1990; Carry Back, 1962; Kelso, 1961; Tom Fool, 1953; Devil Diver, 1944; and Equipoise, 1932. The first six horses to complete the sweep (Equipoise through Criminal Type) are all in the Racing Hall of Fame. 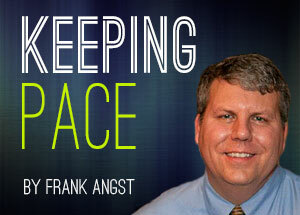 Behind a pair of horses from his final crop, A.P. Indy has a chance for a memorable Breeders’ Cup as Honor Code is being pointed to the Classic and Got Lucky is preparing for the Distaff. 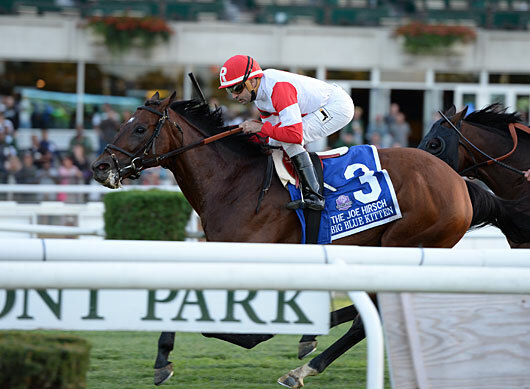 Ken and Sarah Ramsey homebred Big Blue Kitten won a pair of grade I stakes in a single season for the second time in his career this year, after accomplishing the same in 2013. In between his Challenge wins, Big Blue Kitten finished second by a neck to The Pizza Man in the Arlington Million S. (gr. IT). Now 7, the Kentucky-bred seven-time stakes winner will try to improve on his eighth-place finish in the 2013 Turf at Santa Anita Park. How far has the son of Kitten's Joy come? Back in 2011 Big Blue Kitten raced in two maiden-claiming races and a claiming race in the first three starts of his career. Nobody picked him up and he’s gone on to earn $2,636,830 for the Ramseys. While Rock Fall, Runhappy, and Private Zone, if his connections ultimately opt for the Sprint over the Dirt Mile (gr. I), figure to get most of the attention ahead of this year’s Sprint, Southern California-based Wild Dude certainly could crash the party. Trained by Racing Hall of Famer Jerry Hollendorfer, Wild Dude’s past three races have been his two Challenge wins along with a close second in the Pat O’Brien Stakes (gr. II) at Del Mar. Campaigned by his trainer and Green Smith, Wild Dude was bred in Florida by Versatile Thoroughbreds, making him the only multiple Challenge winner this season bred outside of Kentucky.